I was very excited to receive this in the mail last week. Along with a holographic bookmark that depending on which way you tilt it either says, “It’s all real” or “It’s all in your head”. Very cool. Instructions from St. Martin’s were to share and read with the hashtags #ProtectMeghan or #BelieveBecky. All of my favorite thriller authors were endorsing it and I could not wait to jump in! On the outside looking in, Becky Gerard looks like a mother who will do anything she can to find out what is wrong with her 15-year-old daughter, Meghan. Meghan Gerard has had a host of unexplainable symptoms and ailments that have become so bad, she has dropped out of her beloved soccer and become basically a shut in at home. Carl Gerard has just about had it with his wife and daughter. He believes there is nothing wrong with Meghan and that Becky is just seeking attention and suffering from the wounds of her own dysfunctional mother. 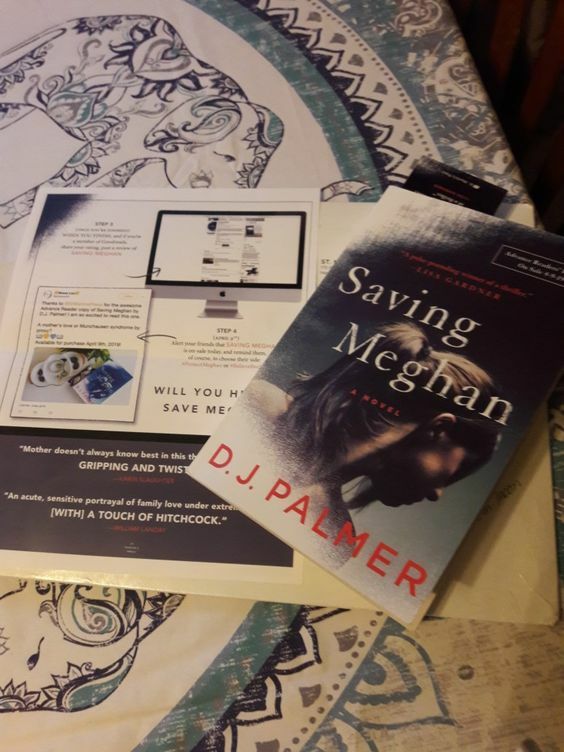 Then Meghan’s symptoms take a turn for the worst and while one doctor thinks he knows the cause, the hospital thinks Becky has Munchausen syndrome, leaving them with no choice but to remove Meghan from their home and putting her in the hospital. While Becky, Carl and the courts battle it out, Meghan is determined to get out of the hospital and defend her mother. But Meghan isn’t so innocent here. She has secrets too. But whose secrets will get them killed? I was back and forth between Becky did it and Meghan is nuts. The thing is that not a single character in this thriller was innocent of wrongdoing. Everyone had their own agenda. Everyone was keeping secrets. Wickedly Twisty, it was a page turner! Smart, fast paced and just enough seeds of doubt to have you guessing and re-guessing! Right up to the end nail biter!!! I usually read non fiction, but this sounds very intriguing. It sounds very interesting. I love books like this. By the way when is it getting published?? Ooo and thank u for following me. Wonderful review Patty. It is tough to pass on a book when all your favourite authors are recommending it. I have read some great reviews of this one, yours included, so I am going to need to add it to my TBR. but not sure when I will have the time to read it. I tell you the book mark that came with the ARC was amazing. Holograph so when you held it one way it said “It’s Real” and the other way “It’s All In Your Head”. Best one I’ve ever seen!